/Yoga Mat (POE) - "Calm and Ready"
Yoga Mat (POE) - "Calm and Ready"
Breathe. Focus. Work. 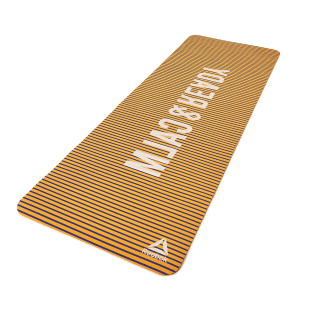 This yoga mat features a grippy surface to help you maintain your balance and concentrate on your poses. Plus, the "Calm and Ready" graphic helps you stay centered.